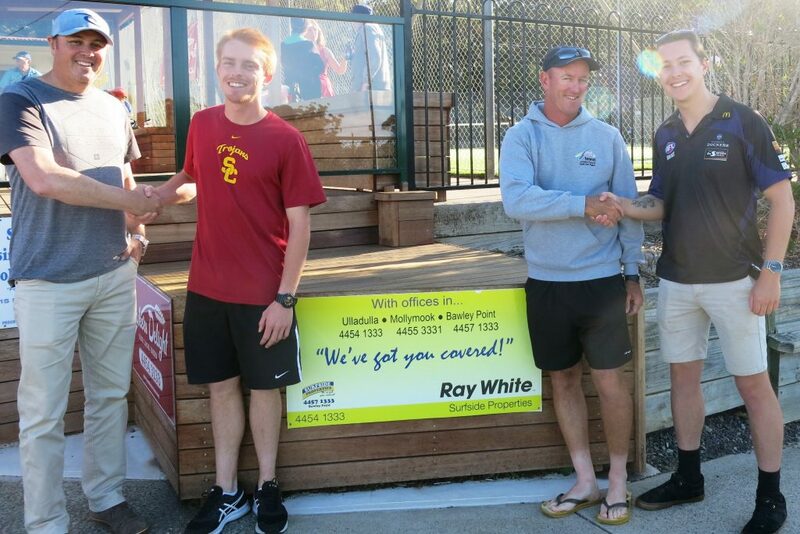 The weekend of the Ray White Surfside Properties Open Club Championships was a huge success. The sunny but a bit breezy conditions was really enjoyed by all members who took part or just went along to watch. 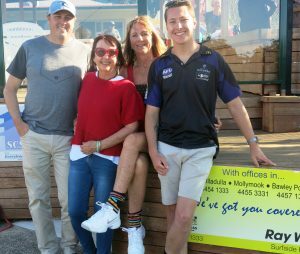 It was great to have Ray White’s Murry Conran and Craig Chambers there to watch on Sunday and enjoy the atmosphere. 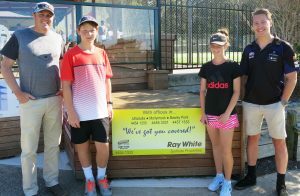 We really appreciate their support which enabled generous prizes to be given to the winners and all players and their supporters to enjoy a complimentary dinner. 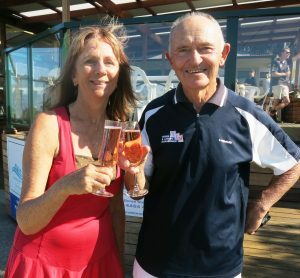 This sponsorship and a more social approach to the event has encouraged more entries over the past two years and we hope for even more next year. Thanks also to Michelle and Mitch from Bakers Delight who supplied all the yummy bread eaten throughout the weekend. The presentation of prizes was held Sunday afternoon followed by a delicious barbecue dinner prepared by our dedicated committee and volunteers. Many thanks to all who helped make this such a successful event. 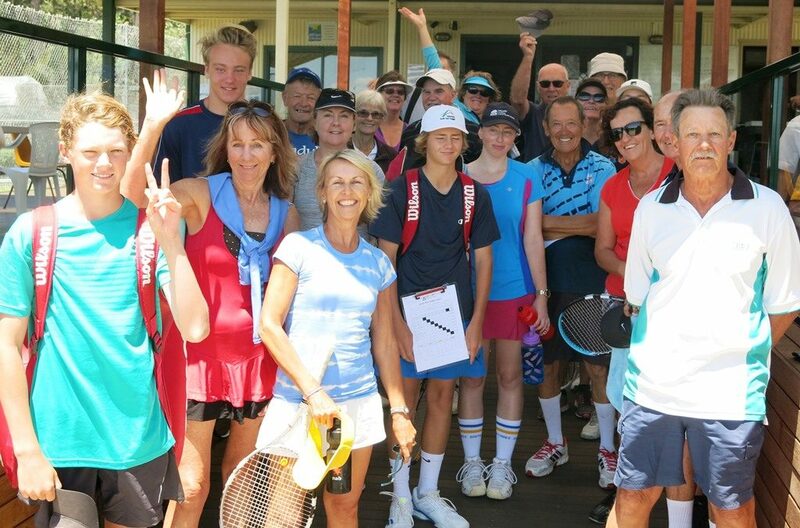 There were nine separate events across two divisions for men’s and ladies singles, men’s and ladies doubles and mixed doubles which were all played in a round robin format to ensure that all players had plenty of time on the courts. 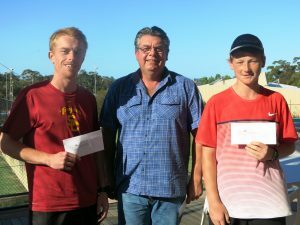 The Open Men’s Champion is Zac Pitman who defeated the defending champion Kevin Murphy. 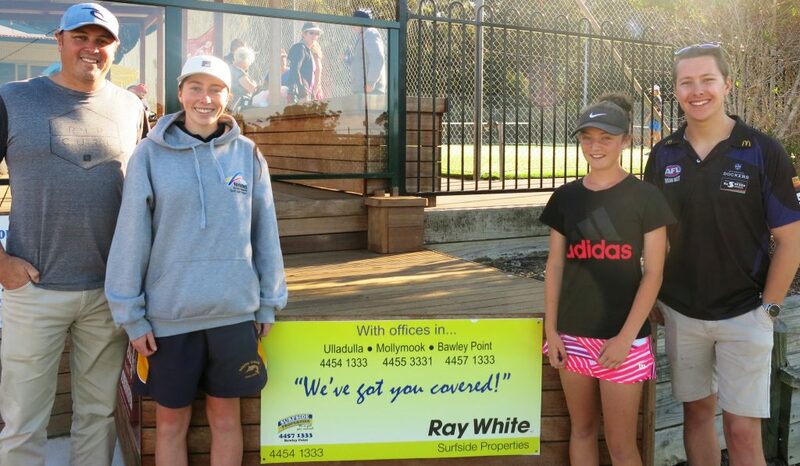 The Open Ladies Singles Champion is defending champion Brittany Anderson with Natasha Phillips-Edgar the runner up. The Open Men’s Doubles Champions are Zac Pitman and Riley White with defending champions Kevin and Ryan Murphy Runners up. 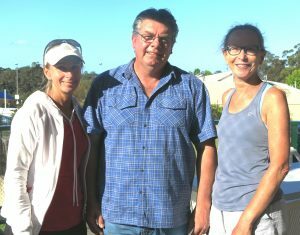 The Open Ladies Doubles champions for the fifth time in a row are Deb Loves and Kerri Cassidy with Runners up Brittany and Lainie Anderson. 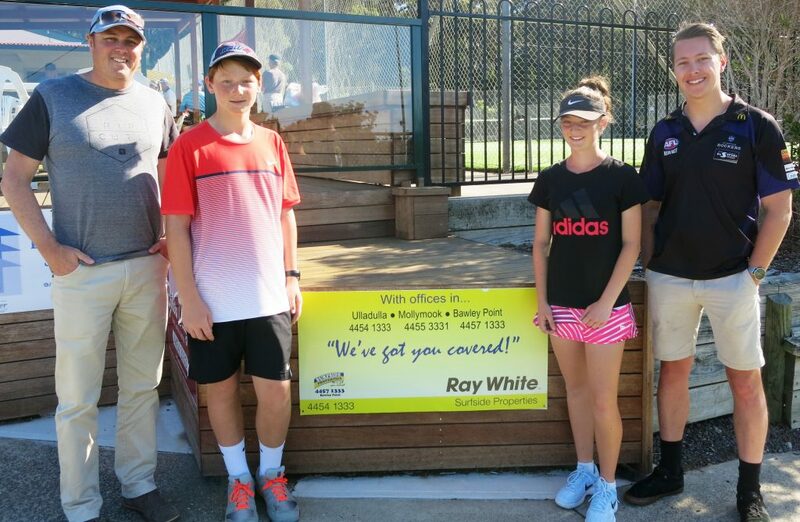 The Open Mixed Doubles Champions are Riley White and Natasha Phillips-Edgar with Ryan Murphy and Deb Loves Runners up. Division One Men’s singles winner was Herbie Chee with the Runner up Alister Nairn. Herbie was playing in his 45th MUDTA Club Championships event. 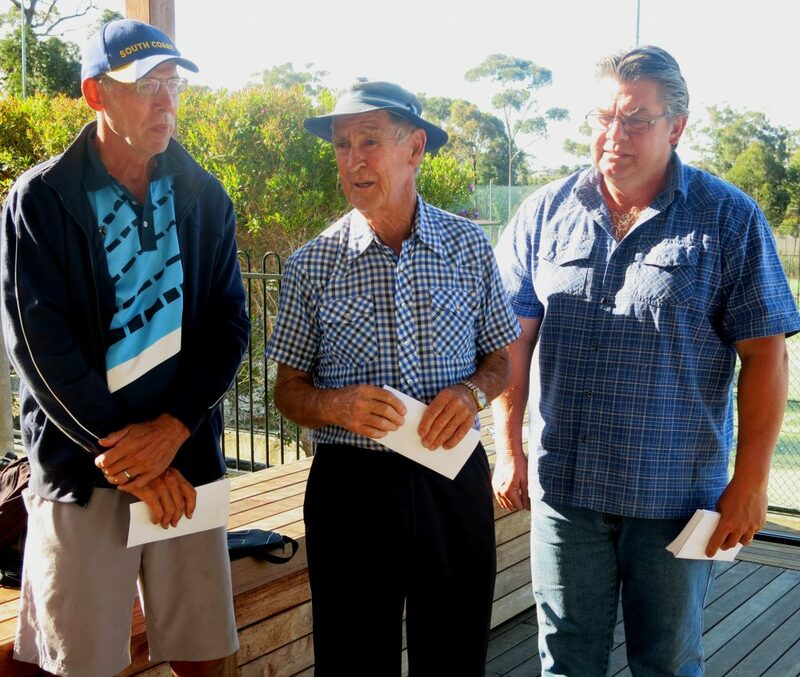 The Division one Men’s Doubles winners were Herbie Chee and Geoff Cook and the runners up were Paul Woodcock and Garry Potter. The Division one ladies doubles winners were Lynne Hill and Kerry Todman with Jackie Bryant and Robyn Potts the Runners up. The Division One Mixed Doubles winners were Lynne Hill and Doug Parker with Ben and Ruth Van Lierop the runners up. See the Gallery Page for more photos. 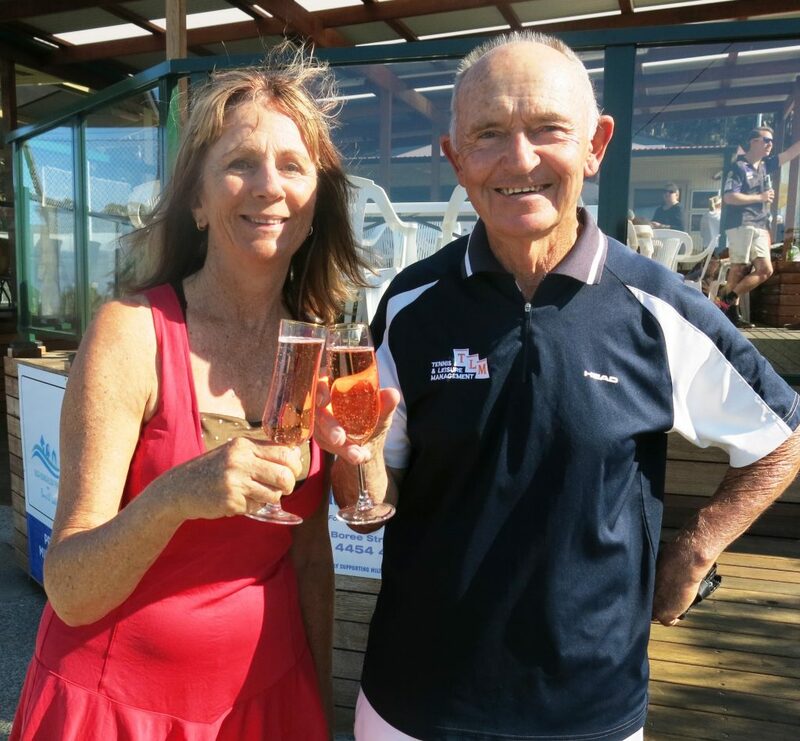 Division One Mixed Doubles pair Lynne Hill and Doug Parker toasting their win.